Internal links are a goldmine of SEO opportunities that are often underused or misused. Internal links connect different pages and/or posts of our website. When people think about link building, they generally just think about acquiring external links to their website. So, they often neglect the links between different parts of their website itself. The more incoming internal links a page has, the higher the chance that users and search bots will find it. For this reason, they play a huge role in a website’s wellbeing. They make sure search engine bots can crawl the different parts of the site better. Also, they help the site’s PageRank distribution, which is the ranking authority distribution between a website’s pages. In fact, a page increases its value in the eyes of search engines if it receives links from high-authority pages of your website. So, where shall I use internal links? Obviously, you should place more incoming links to the pages with important content. However, it is important for User Experience that the interlinked pages are relevant to each other. How to create internal links in WordPress? here you can select if you want your readers to open the link in a new window so that they won’t lose the page they were previously reading. if you’d like me to check your site to see if you have these errors, please let me know). How to find internal links to a page? What are the broken links? Broken links are the biggest and most obvious problem occurring with the links. Basically, it happens when they do not work. It can happen because of a typo in the URL, or because the URL was changed and no redirection was created, or because a page was deleted and the link now leads to nowhere. Broken links are a very negative ranking signal, because either Google and your readers do not appreciate them at all. They show a lack of quality and attention and definitely upset your audience. If an external link is broken, that leads outside of your website, you can either contact that website owner in order to request to fix that page, find an alternative and change the link, or just delete that link. If the broken link is an internal one, make sure you have a redirection in place, or delete the link if you removed that page. Too many links make your page seem spammy in your readers’ eyes. Also, your PageRank will be split between the links, so the less, the better. Only keep the ones which are necessary for your visitors to further find relevant information on your site. Setting up redirects from one page to another is important when you change a URL. However, if you keep changing, the redirects will pile up and it becomes a redirect loop, that can slow down your website. Eventually, a redirect chain may even end up looping on itself, if any of these redirects is done incorrectly. This can be quite a horrible user experience and negatively affect your rankings, as your search bots will be very confused, too! If this kind of issues gets detected, edit the redirects so that they go straight to the final destination page. 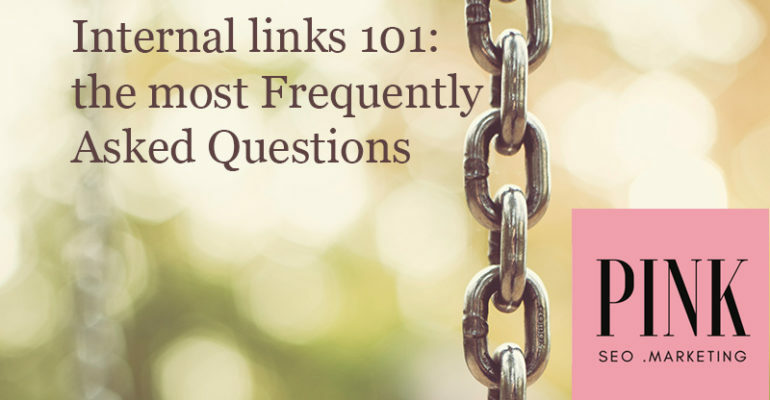 Should internal links be nofollow? Generally, no: a rel=”nofollow” tag instructs the search bots not to follow specific links. The only cases when this can be useful is when you don’t want search bots to follow links in blog posts’ comments, paid links and similar. However, generally, you do not need normal, beneficial, regular internal links to be nofollow: they would waste completely your PageRank and seriously damage your SEO. What is an “orphan page”? An orphan page has no incoming internal links. So, search engines won’t crawl it via your sitemap.xml. It can be an SEO issue if this page has valuable content and you want it to be indexed and found! In this case, find ways to create internal links that connect it to the rest of your site. These SEO issues and errors are extremely frequent. This is one of the reasons why I recommend regular Site Audits on your website, to assess its health status. Optimising your site’s content for keywords and/or adding backlinks to it won’t suffice to keep a solid and good ranking on Google if there are several errors in its technical structure that you aren’t aware of. If you’d like me to check your site from a technical SEO perspective, feel free to request a full Site Audit here. You’ll receive a long, thorough and detailed report very soon to your inbox, from which you can start fixing any issue straight away!